Fleas can quickly spread throughout your entire house if not dealt with quickly. Most flea treatments will require a follow up treatment approximately 21 days apart to ensure proper extermination. Andy’s Pest Control uses an insect growth regulator (IGR) to ensure the fleas life cycle will stop once in contact with the IGR. Fleas can be stressfull for pets. Your pets will continously scratch themselves which can produce open cuts and sores that can introduce bacteria and infections. Please ensure all pets get the appropriate treatment by getting them checked by a veterinarian. 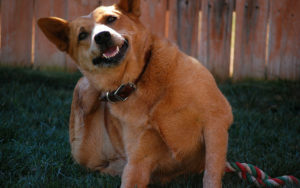 A veterinarian can prescribe medication to help combat the effects of fleas. Give your pets a flea bath, it will also help the population go down and provide relief for itchy skin. 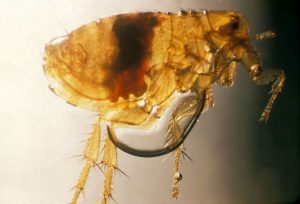 Female fleas can lay up to 40 eggs a day. Those eggs can lie dormant for up to 6 months waiting for the perfect opportunity to hatch and feed. The eggs are very sensitive to vibrations, it lets them know when a potential food source near by. Daily vacuuming is highly encouraged to help hatch the eggs to ensure proper elimination. If you have struggled long enough with fleas, it is best to get a professional treatment completed. Andy’s Pest Control Services all of Peterborough and Kawartha Lakes including Bancroft and Apsley.